If you check the average person's sense of where their health is at, they would say I don't know? Because our diet includes chemicals, and process food contains too many preservatives, the average person consumes too many calories. Overweight, and lack of exercise is the principal reason for poor medical conditions. 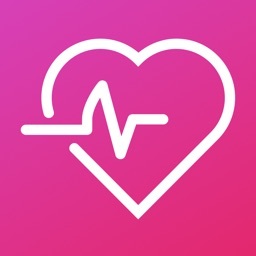 This application was developed not to cure sick people, but to assist the individual who is concerned with their health to be better educated on how to improve their health. One of the leading health conditions that presents a danger to the average person is hypertension. This is better known as high blood pressure that affects more than 50% of people. Unfortunately this includes very young people as well that consume too much junk food. 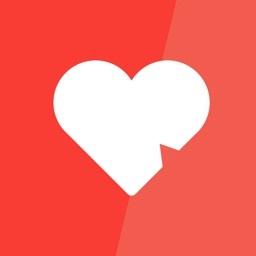 If you currently have high blood pressure, and you're considering taking medication to lower your blood pressure, this application will assist you in improving your hypertension. 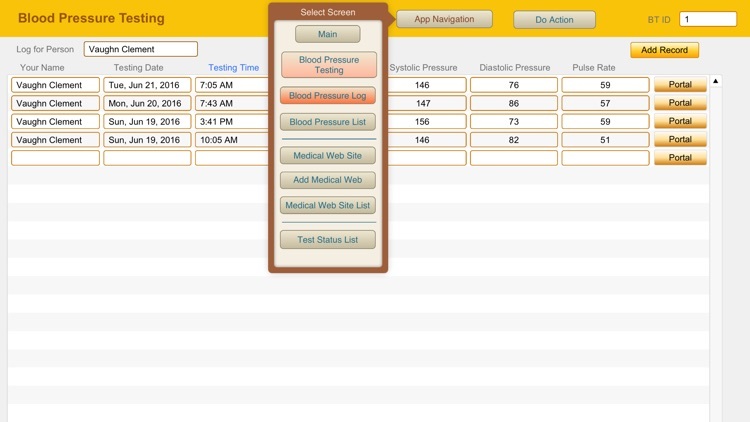 The application includes a knowledge base collected from websites that will help you to understand how to manage high blood pressure. You can add to this knowledge base using any reference website and add the data to your knowledge base. 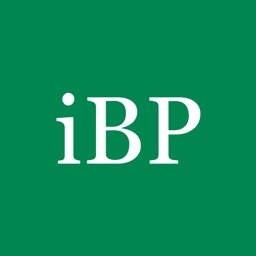 There are many websites already included for reference in the knowledge base. 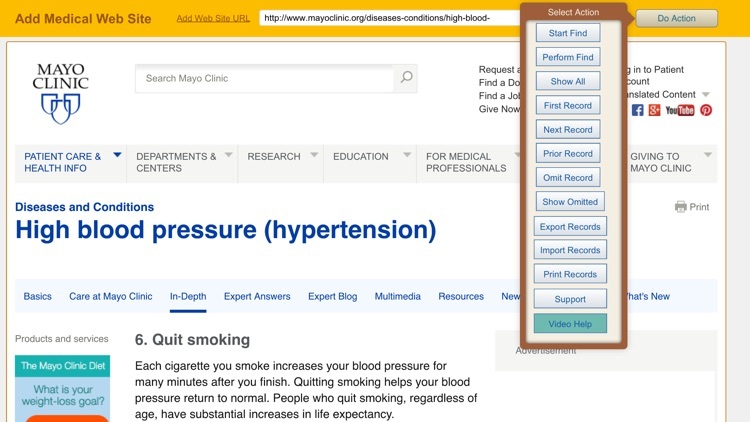 The knowledge base will help you to learn the specific issues related to high blood pressure. It will also provide additional medical knowledge to help you reduce Health risks. 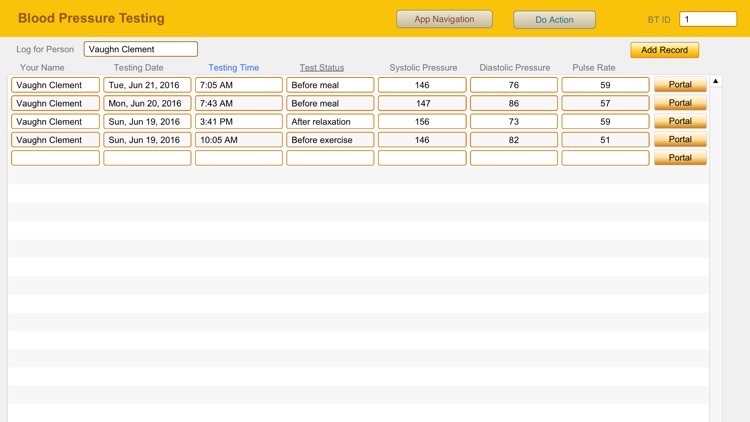 One of the main things this application includes is a blood pressure testing log for tracking your blood pressure at home. A blood pressure sleeve and monitoring device is an essential tool to take your blood pressure at home. This device averages about $30 in most pharmacies. 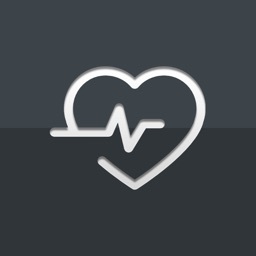 The knowledge base in this application will reveal new information to assist you in understanding what high blood pressure, and how to reduce medical risks. You will need to improve your understanding of treatment, and medications for high blood pressure. It's important to keep your doctor informed of how you are managing your hypertension. 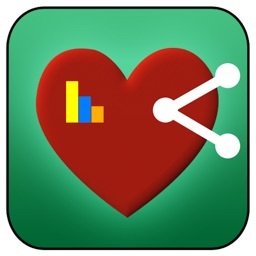 Using the blood pressure testing log is an important way to track and manage high blood pressure. 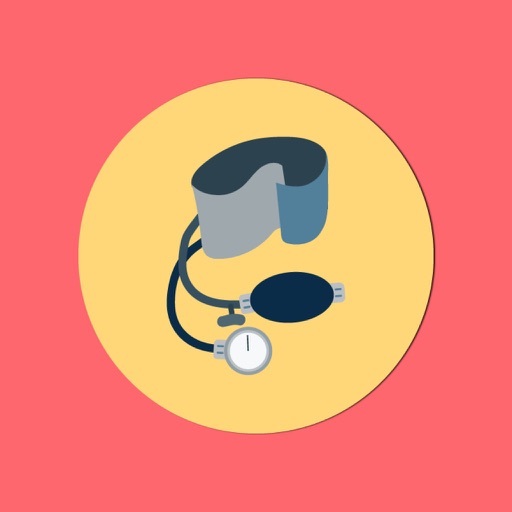 The blood pressure testing information collects data that is useful for a doctor and the patient to translate this data to meaningful treatments. The knowledge base will help you as a patient to understand what you can do beyond medication to improve your blood pressure. This application does not include in app purchases, and there are no hidden fees or additional cost. 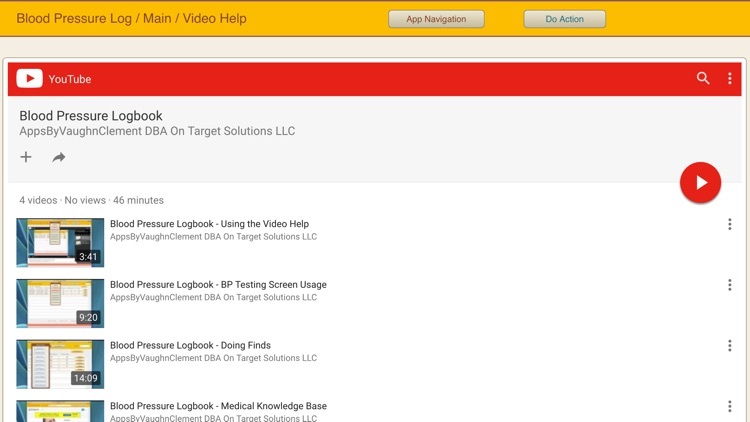 The application includes video help YouTube videos to instruct you on how to use this application. You have free technical support using the developer website that has a link included in the application.